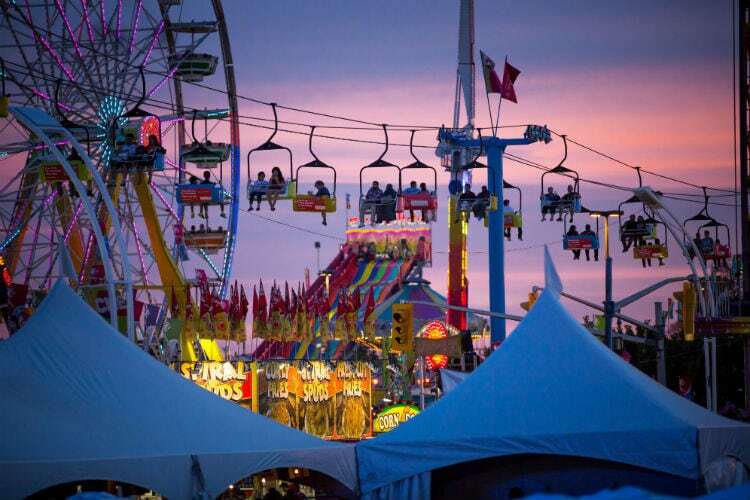 It’s another fun-filled season at Canada’s largest fair! All of Toronto’s beloved end-of-summer traditions are back, from the Midway games to The Farm and Sky Ride. Also returning are the SuperDogs, Canadian International Air Show, Waterfront Show and the Aerial Acrobatics and Ice Skating Show, with all-new themes celebrating Canada’s sesquicentennial. New attractions and culinary experiences await visitors this year including a nightly Laser Illusion Show and the CNE Gaming Garage, a hub for video and gaming enthusiasts. Mark your calendars for the East Coast Kitchen Party and come back the following weekend for Food Truck Frenzy featuring 24 of Toronto’s best street food trucks and Craft Beer Fest. Cool down at sunset and enjoy an exciting line-up of free outdoor concerts showcasing Canada’s rich array of musical talent. Cost: General admission from $16 for kids (ages 5–13); all-day ride passes $46 (all ages); ages 4 and under free. Discounts available online; individual ride tickets and family passes also available.